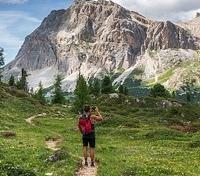 Hike the spectacular Dolomites for 4 days with a private hiking guide, and enjoy a private helicopter ride over their peaks. Read messages carved into the walls of mountain tunnels by World War I soldiers. 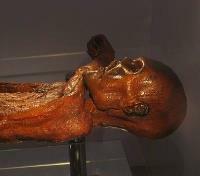 With a specialized historian, meet Bolzano’s most famous resident: Ötzi, the ice mummy. 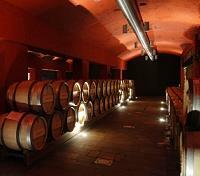 Discover world class wines at Ca' del Bosco and Valpolicella wineries. 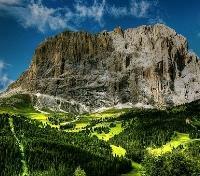 The South Tyrol has been a part of Italy for over 100 years, but only in name. Before World War I, this high-altitude enclave was decidedly Austrian, and among its residents, old habits die hard. Up here, meals are more likely to be followed with a plate of Kaiserschmarrn than tiramisu, and you won’t find much use for your Italian-to-English phrasebook. What you will find, however, are charming towns filled with disarmingly friendly people, historical markers of great wars and Roman conquests, and a vast and gloriously beautiful alpine landscape the sight of which will stay with you for the rest of your days. Please note, the travel window for this journey is June to September. For your added comfort, a Meet & Greet assistant will be waiting for you after you clear airport customs, and will direct you to your awaiting private driver and vehicle for a transfer to Selva. Approximate travel time is 2.5 hours. Surrounded by impressive mountains and green meadows, the friendly Hotel Miravalle in Selva has been family run since 1962. Modern design mixes with South Tyrolean tradition, creating an elegant and welcoming alpine style with many impressive wood features, all in harmony with the stunning natural backdrop of the Dolomites. Rest in spacious and comfortable guestrooms, and relax in the spa and wellness area, as warmth and heartiness radiate throughout the property. Treat your taste buds with delightful Italian and South Tyrolean cuisine in the a la carte restaurante, impassioned by the best of fresh local ingredients. 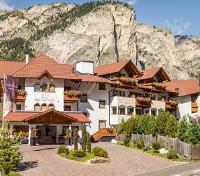 Hotel Miravalle is the perfect home base for your exploration amidst the picturesque Dolomite peaks. 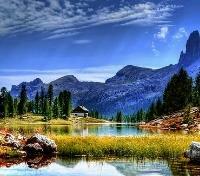 Today you'll experience some exceptional alpine action, as you hike the Sassolungo with a private hiking guide. Depart from your hotel with a private driver and vehicle toward Passo Sella, where on arrival you'll board a cable car with your guide, ascending to the top of the Sassolungo, at 8,800 feet. Once there, enjoy a breathtaking view from the Rifugio Toni Demetz, nestled between the stunning peaks of the Sassolungo and the Cinque Dita. Begin your descent on foot, hiking in between the mountains towards Rufugio Vicenza chalet, a perfect resting point, with yet more incredible views of the surrounding peaks and valleys. Departing from Rifugio Vicenza, the scenery will change once again, as you transition from rock to the forest and the fields where you’ll spot many grazing cows. You’ll be walking all around the mountain toward Rifugio Comici where a very well deserved lunch will be provided for you. In the afternoon, return to Selva on foot, walking through the fields that in the winter become the slopes of this incredible ski destination. This morning, transfer by private vehicle to the quaint village of Santa Cristina, above which the Col Raiser cable car is situated. Riding with your specialized hiking guide, in a few minutes you’ll reach the top (6,900 ft) from where you’ll have an amazing 360° view of the Gardenese Dolomites, including the Odle Group, Stevia, Sella and Sassolungo, Sasso Piatto and the Sciliar! You'll begin hiking toward the Rifugio Firenze at 6,690 ft, a rest area built in 1888 and situated within the Puez‐Odle National Park. From Rifugio Firenze, continue towards the Ciaulonch Lake, an area where ancient fish and shell fossils are regularly found. Proceed to the newly renovated Juac alpine hut, where you'll be completely surrounded by nature and silence, a peaceful place to contemplate your gorgeous surroundings. From here, you’ll be following your Alpine guide through the pathways that cross the beautiful fields back to Selva. Depart by private vehicle to Passo Falzarego with your personal certified Alpine guide for an extraordinary hike on the WWI route today. See where Italian troops fought the Germans along the Italy-Austria border during the first World War. Hike approximately 2.5 hours uphill, crossing through various defensive tunnels that were dug by the soldiers. You'll be equipped with a helmet & torch that will be used while hiking through these tunnels, offering a unique and once-in-a-lifetime experience. 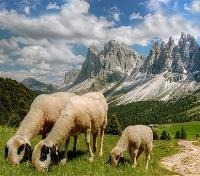 From an altitude of approximate 6,500 feet, you will hike up an additional 2,100 feet to enjoy a breathtaking panoramic view of part of the Dolomites. If you'd prefer not to do as much uphill walking, you can ascend by cable car to Rofigop Lagazuoi, the chalet with the highest location on the Dolomites, and start your hike from there. Descend towards the Rifugio Scotoni chalet, stopping first at a small chapel on the way where the names of the fallen soldiers are engraved on the wall. After a midday pause, you'll continue your hike, ending at Armentarola where your private transfer will be waiting to drive you back to Selva. Meet your private driver and depart on an hour-long drive to Bolzano, capital of South Tyrol, set beautifully amid hillside vineyards, and with views out to the Dolomites. Meet up with your private local guide and set out on foot for a walking tour of the historic medieval town center, with narrow cobbled lanes and weathered pastel facades of apartments, shops and cafes. Also within the city's historic center is the South Tyrol Museum of Archaeology, where you'll meet up with a private Iceman guide to visit the permanent exhibition on Otzi the Iceman, a remarkably well-preserved Neolithic mummy, believed to have lived over 5,000 years ago! In the afternoon, head to the town of Ortisei, a very charming village situated in Val Gardena, where you'll have some free time to explore independently and check out some of the town's traditional shops. Afterward, return to Selva. 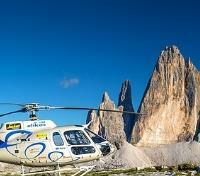 Meet your private driver for a short transfer to a nearby heliport where you'll board a helicopter for a private 30-minute aerial tour over the Dolomites! 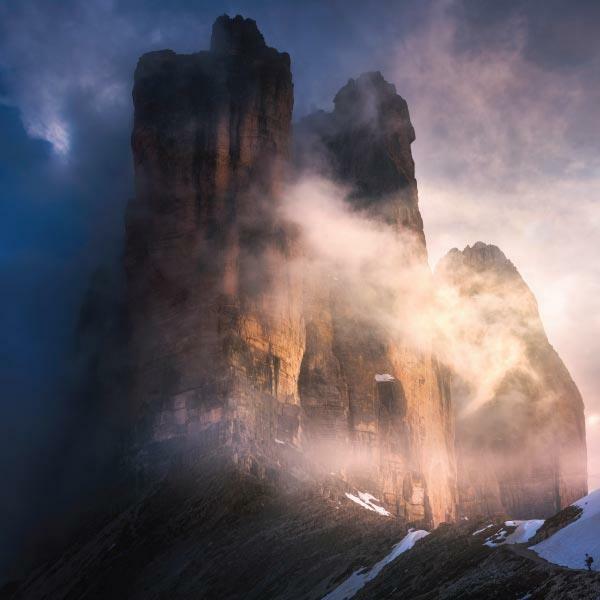 Witness amazing views as your pilot flies you over the commune of Castelrotto, the stunning valley of Val Gardena, the Seiser Alm alpine meadow, the Sciliar-Catinaccio Nature Park, the Sassolungo Group, Sella, Puez-Geisler Nature Park, Seceda and Rascesa, the Vajolet Towers and more. Your driver will provide a return transfer at the conclusion of your flight. Depart your hotel on foot with your private guide, walking to the nearby Dantercepies cable car. Ascending to over 7,500 feet, you'll reach the top and begin your hiking tour of Puez Odle National Park, first going slightly downhill on pathways through green fields, then uphill on dry pathways of earth and gravel. You’ll reach two main points located at 8,100 and 8,293 feet, each surrounded by breathtaking scenery. Continue toward Crespeina Lake surrounded by beautiful edelweiss flowers. The last part of the walk will be right on top of the Puez Plateau where you'll finally reach the Puez chalet at 8,120 feet. You'll take an extended break here before starting your descent towards Selva. Walking along the rocks, you'll eventually reach a valley called Vallunga, rich of trees and fields, where a small lake often finds thirsty cows and horses visiting for a drink. At the end of the Vallunga there is a very nice chalet where you can take a break, and perhaps try some of their local specialties, if you're so inclined. After a full day of varied scenic vistas leaving you speechless, you'll return back to Selva. Meet your private driver for a transfer to Verona today. 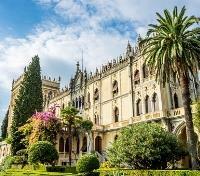 En route you'll head to the northern part of picturesque Lake Garda where you'll get to spend time at leisure exploring the charming lakeside resorts towns of Riva del Garda and Malcesine. A 13th century stone tower and two sections of the old city gates remain in Riva's historic town center, helping to paint the picture of medieval life here under Venetian rule. 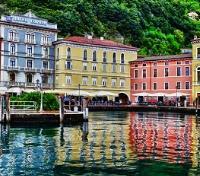 In Malcesine, perhaps walk through cobbled lanes to the main harbor lined with boats and cafes. Peer out at the historic castle, Castello Scaligero, situated with Lake Garda in the foreground, and the sweeping mountain ridge in the background. Conclude your day with a drop-off in Verona. The exquisite Due Torri Hotel is situated in a 14th century palace in the historic center of Verona, and a stone's throw from Juliet’s famous balcony. A stay at Due Torri Hotel becomes a special experience, a journey through the most representative styles of the late nineteenth century. Nothing is left to chance: living rooms, bedrooms and suites are embellished with such details and finishes as hand-varnished parquet, marble, Murano glass chandeliers, mosaic work, luxurious and sophisticated fabrics. Authentic antique furniture in Biedermeier or Empire style welcome guests: chaise lounge, sofas, full-length mirrors, wood paneling create an intimate, elegant and timeless ambiance. 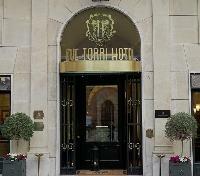 The superb quality of the furnishings combined with an unsurpassed level of personalized service have made Due Torri the most renowned luxury hotel in Verona. Take a private boat ride on scenic Lake Garda today, exploring the private island Isola Del Garda, and admiring the many lakeside villages of the Sirimone peninsula. A private transfer will bring you to the docking area of your boat this morning, where along with your private local guide, you'll you'll meet your skipper for the day. Admire the many charming lakeside villages in the distance as you sail toward Isola Del Garda, privately owned by the Borghese Cavazza family. 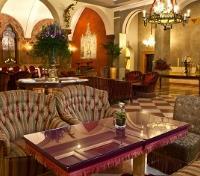 Here you'll visit the early 20th century Venetian villa surrounded by beautiful Italian and English gardens. Back on the lake, you'll cruise along the lovely peninsula to Sirmione for a midday break, a town with a 13th century castle at the port entrance of the old town. In the afternoon, re-join your boat as you cruise toward the towns of Gardone Riviera and Salò, and eventually pass Punta San Vigilio, a small but very charming peninsula where Winston Churchill and Prince Charles previously stayed. Meet your private guide at your hotel and depart on foot for a half-day walking tour of historic Verona, of Romeo & Juliet fame, where you'll experience the city and the buildings and monuments it has accumulated since its beginnings over 2,000 years ago. You'll view Romanesque churches, Gothic towers and castles, Renaissance palaces, squares, and elegant courtyards. See the legendary houses of Romeo and Juliet, and witness the balcony where Juliet once stood, in Juliet's Court, where you'll also see the tomb of Juliet. Stroll past the 2,000 year old Roman amphitheater, as well as Erbe Square, home to a 14th century fountain with a 4th century statue Madonna Verona standing in it. 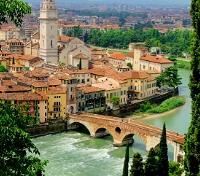 Watch the history of Verona unfold before your eyes. Depart with your private driver, setting out to the Ca' del Bosco winery in Erbusco, capital of the Franciacorta wine region. Ca' del Bosco is the place to visit for art and wine lovers. The winery, surrounded by verdant vineyards and woodlands, is a journey into ideal enology: stone, steel, wood and glass. The technological heart of the winery beats with passion and precision, artfully lit and framed by the deep green of the park. Its architecture blends harmoniously with the glacially carved hills of Franciacorta. Enjoy a visit of the vineyards and the stone cellars whose temperature and humidity are constantly monitored, where the wines are aged in small oak barrels. Afterward, you'll get to sample some of the winery's revered output, with a guided wine tasting. In the afternoon, head through surreal protected natural landscapes en route to Valpolicella, where you'll take in stunning scenery, as well as the history of its inhabitants, and even taste its unique flavor of wine at a visit of Masi Serego Alighieri, an estate and winery that has been in the same family for twenty-one generations. Visit the historic cellars, and enjoy a tasting of four celebrated wines. Meet your private driver and vehicle for a transfer to the airport in Venice. Approximate travel time is 1.5 hours.